Join Josh Wilson tonight from 10 p.m. until Midnight Eastern for the FloridaHSFootball.com Friday Night Scoreboard right here on FloridaHSFootball.com or you can listen “LIVE” by downloading the Spreaker app on your Android or iOS device and searching for FloridaHSFootball.com. NOTE: Last week’s show will be featured until the show goes “LIVE” tonight at 10 p.m. ET. The player will tune “LIVE” automatically once the show is on the air. We will have up-to-the-second score updates from around the state from Class 8A to Class 1A as well as the Sunshine State Athletic Conference and Independents. We will also take a look at the Sunshine State Top 25 Scoreboard, plus we will have call-ins from members of the media around the Sunshine State giving us some breakdown from Week One’s biggest games under those Friday Night Lights. 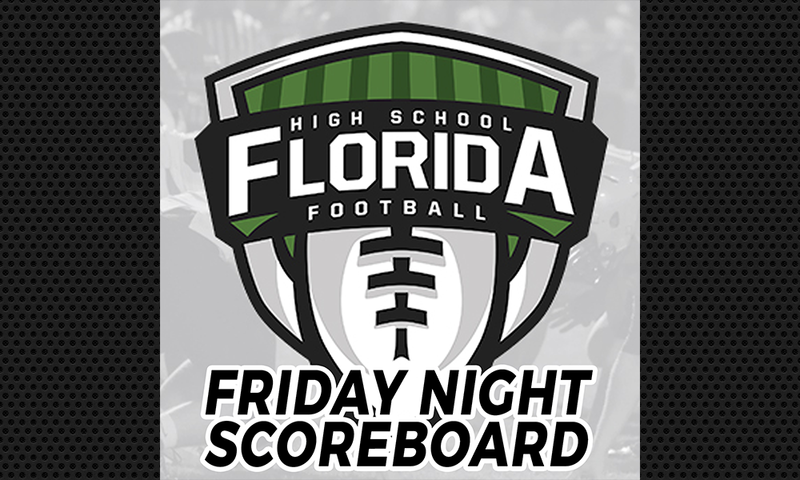 That is the FloridaHSFootball.com Friday Night Scoreboard right here on FloridaHSFootball.com from 10 p.m. until Midnight Eastern!